With the quick progress of technology, our preferred songs and music can be stored in the format MP3. In the past audio files are mainly stored on cassette tapes and CDs and VCDs, which are outdated already. Files in the format of MP3 offers the convenience that you can store and play them on computer, cellphone, and other multimedia players (e.g. mp3/mp4). Moreover, you can obtain mp3 files easily, for example, songs and other sound clips can be downloaded online or copy from friends. The only problem we may come cross is that mp3 files can be deleted, formatted or lost from storage media. And you do not have to be worried that you will lose all of your favorite songs. You can carry out free mp3 file recovery by yourself. Why people lose mp3 files? How to recover lost mp3 files? 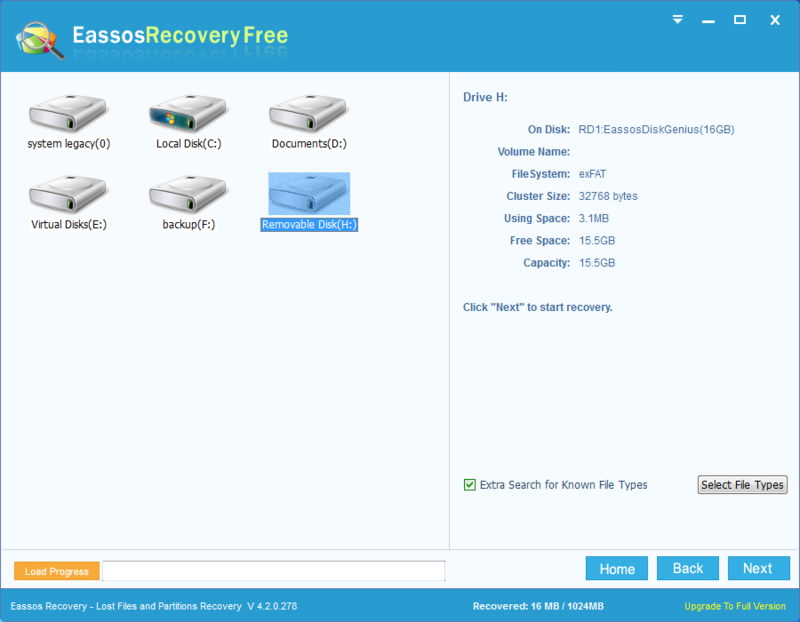 If lost mp3 files were saved hard disk of your computer, then you can try your luck from Recycle Bin whose mission is hold deleted files temporarily. Thus, deleted mp3 files can be easily restored before you clear the Recycle Bin. If you are not the luck dog, there is no wanted files in Recycle Bin, then you need to try the follow solution to recover mp3 files with free file recovery software. 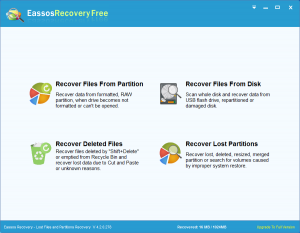 The almighty option of file recovery is file recovery software such as Eassos Recovery. This application enables you to restore deleted, formatted, corrupted and lost mp3 files. You can free download this software and start mp3 file recovery according to the follow step-by-step guide. Step 1: Connect the mp3 player to computer if lost mp3 files were stored on removable devices. Then start Eassos Recovery. Step 2: Select recovery for lost mp3 files. Step 3: Select the mp3 player or hard drive partition that lost mp3 files were originally stored. Then click “Next” button to scan lost files. Step 4: Preview and save lost mp3 files. 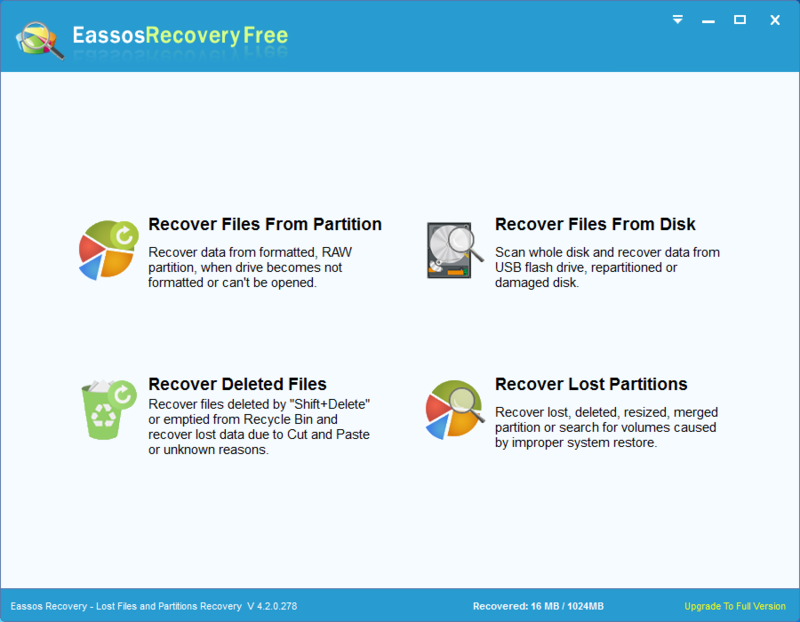 The amazing feature of Eassos Recovery is that it is able to preview mp3 files, and other recovery software only can preview pictures. 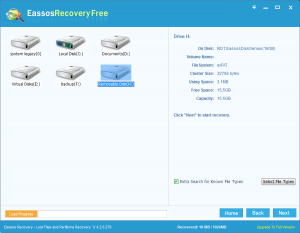 This entry was posted in Data Recovery and tagged free file recovery software, mp3 file recovery, recover mp3 files by EASSOS. Bookmark the permalink.